The Canadian television show "Schitt's Creek" just began its fifth season. 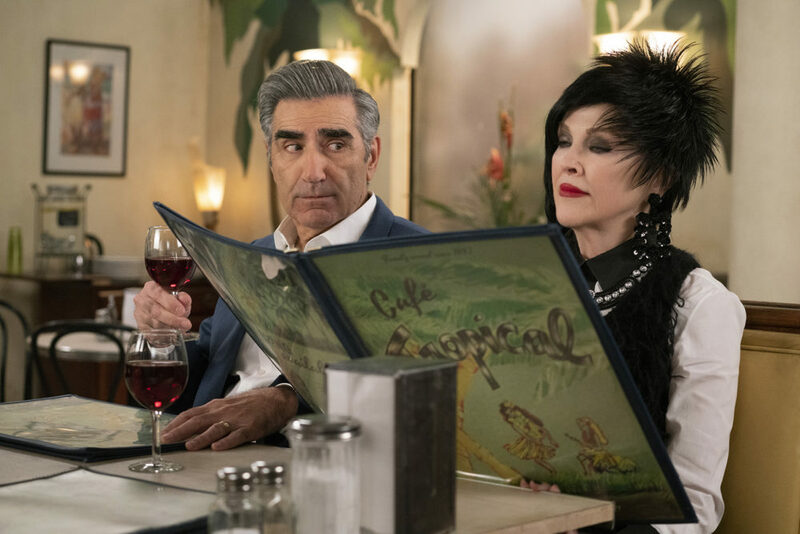 It follows the story of the Roses, a wealthy family that suddenly loses its fortune and has to move to a small, rural American town called Schitt's Creek, which Johnny Rose, played by Eugene Levy, once bought for his son David — played by Eugene's actual son Daniel Levy — as a joke. 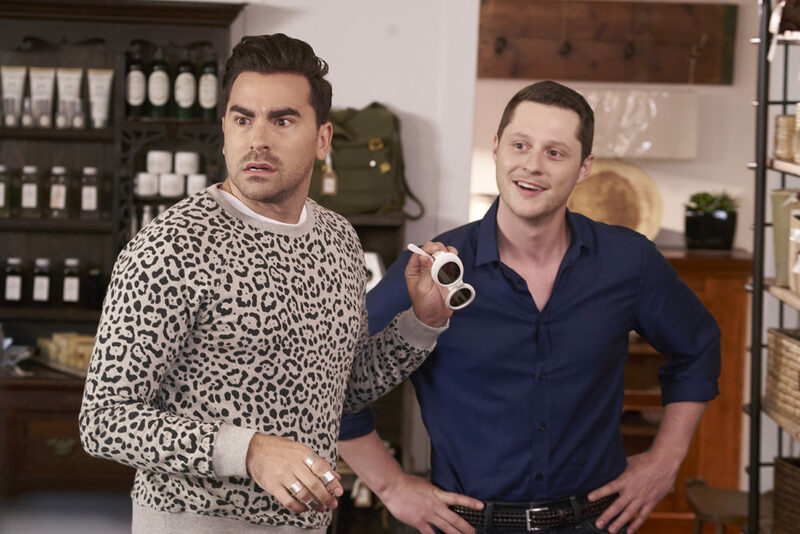 "I think through reality television, we've been able to get an incredibly dimensional — whether we want it or not — idea of how wealthy people live their lives," says Daniel (@danjlevy), who co-created the show with his father. "And I thought it could be an interesting premise to examine as a comedy what would happen if all the money was taken away and these people were forced to confront what really matters in their lives." The Levys, also the show's co-executive producers, help lead a cast that includes Catherine O'Hara, who plays Johnny's wife Moira, a former soap star. Eugene and O'Hara have worked together several times in the past, including on the 2000 movie "Best in Show," when they also played a husband and wife. 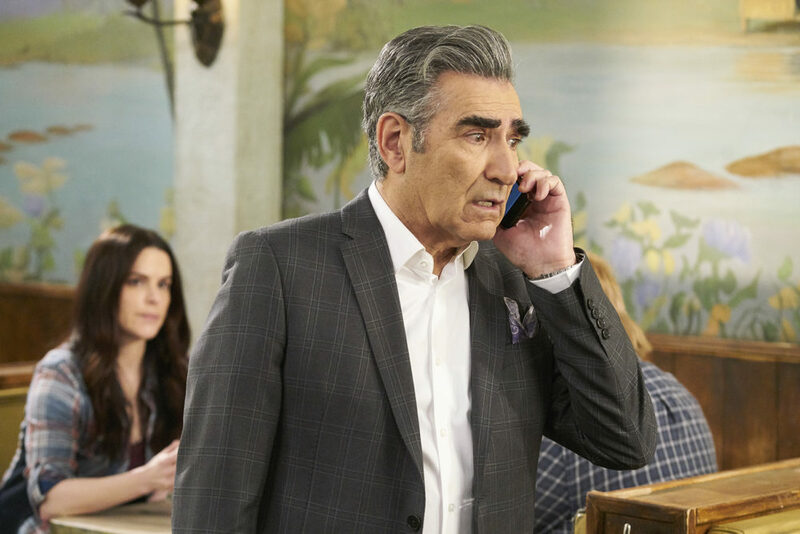 "When you hire Catherine, you're getting more than just somebody who can deliver lines funny," Eugene (@Realeugenelevy) tells Here & Now's Jeremy Hobson. "She brings everything to what she does, she adds so much to the character. She has her own ideas. The wigs, for example, were her idea: Moira would wear a different wig depending on you know her emotional mindset of that particular day. She adds so much." 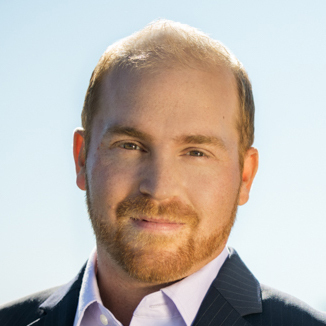 Daniel Levy: "I brought sort of the first germ of an idea to my dad very early on: the premise of playing on this sort of cultural awareness we now have of how wealthy people live. ... I brought the idea to my dad, thinking his comedic sensibility is something that is very specific and grounded in something real. And I thought it could really lend itself to this concept, which I think has the potential, or had the potential, to go quite broad and cartoony. It needed the opposite, it needed ... an infusion of real, genuine comedy." Eugene Levy: "It's a tack that we took right off the top, and that was kind of a comedic tone that we had in the movies that Chris Guest and I did together, which is a grounding of character where you never step outside of your character's boundaries to get a laugh." Daniel: "We always approached the show from day one as if it were a drama, and it is — I mean inherently, it's quite tragic what happens to this family, and the comedy really comes from the characters interacting with each other and interacting with their circumstance. I think because it's rooted in something real and we're not necessarily playing huge gags, you're able to tightrope walk that fine balance between comedy and also exploring slightly more emotional moments and revelations as well." Daniel: "It was really important for me that fashion played a part, a big part, in the show. I think because it was an area where we could explore character and not have to write it, and what clothes do in our show is act as a sort of perpetual reminder of where these people came from without having to continually say, 'Remember that time when.' "
Eugene: "You can see where these people came from just by looking at them." Eugene, on his chemistry with co-star Catherine O'Hara, who plays his wife once again after doing so in movies like "Best in Show" and "Over the Hedge"
Eugene: "We have the same style of working. We both come out of improvisational background, but we're basically actors at heart, not comedians. We like to get our laughs through characters, so everything's got to be set to the point where we know exactly what the character's going to be doing." Daniel: "I tried to write my experience, I tried to write an experience that I know that friends of mine have had. I think that's the big thing that seems to be connecting with people, is the fact that there is an ease to the relationship and that we write the relationship in a casual way, and that was very deliberate. "I think because we're so accustomed to seeing queer love stories that are put in jeopardy by outside forces — it's the sort of 'Brokeback Mountain' effect of, any time you see two queer people in love, there has to be some kind of consequence. So to propose a world where there is no consequence, and two people can love each other sort of wholly ... in small-town America, and ultimately show that what comes from that is freedom and love and joy. It's a form, I guess, of sort of quiet protest, saying that this is how things should be. "The choice to leave homophobia out of the equation on our show was deliberate, because I'm a firm believer that we learn through what we see, and when we feel like we are being taught a lesson, we have our guards up, because we don't want to be schooled on something. But to present something as it should be, I think has a much more powerful effect in people's homes, and the letters that we've received from families who have watched the show together and it's changed their own relationships ... I guess it's a testament to the fact that it does seem to be working, even if it's just one family at a time." Eugene: "A love story's just a love story, and that's the tone that's set on the show. And as Dan just said, the effects are quite amazing when it comes to how it's affecting people out there." Daniel: "It was never a question for me. I mean, sure, there was, you know, bullying in high school. But for me, my experience has been relatively easy compared to what is happening in many parts of this country and others. So meeting people in a respectful way, and not pinning people against a wall with an agenda but rather just sort of saying, 'This is what we're doing' — it's seemingly helping people, which is an incredibly rewarding part of the job." Julia Corcoran produced this interview and edited it for broadcast with Kathleen McKenna. Jack Mitchell adapted it for the web. This segment aired on January 17, 2019.